You may have the pointiest hat, a portable black cauldron, and even your creepy cackle down, but don't think, for even a second, that your witch costume is complete just yet. Aren't you hoping to do some black magic? Maybe you want to cast a spell that will make you enemies' hair fall out? Or you could be looking to turn your teacher into a rat? Perhaps you have hopes of laying a curse of silence upon that co-worker who just won't shut up. Well if you plan to accomplish any of those aspirations you're going to have to tap into a little bit of black magic. Everyone knows that a witch or wizard is nothing without their wand. So, if you want to dabble with the dark side of sorcery then you'll need your own, but not just any old wand. No, you need one that says you're a force of darkness that's not to be taken lightly. 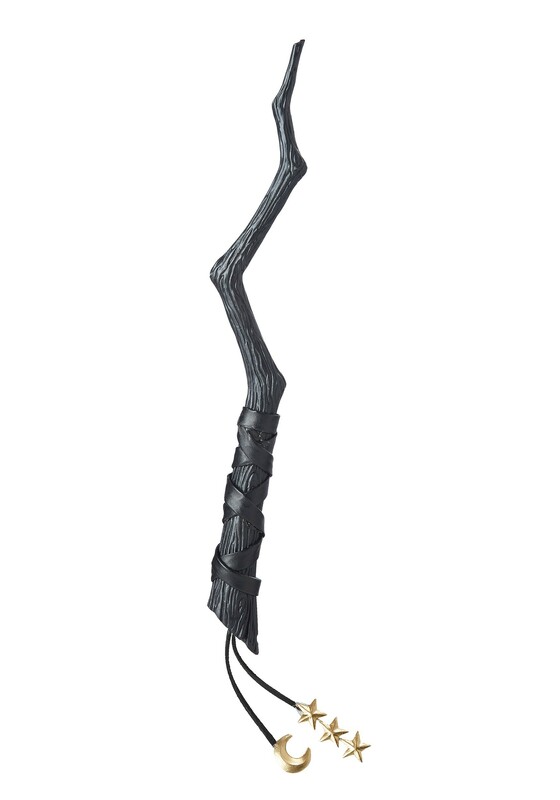 So try out this Black Witch Wand! Once you start causing devastation upon the planet with this wand you're sure to enter the ranks of the greatest threats to mankind, others will be afraid to even say your name aloud... So, make sure to come up with an awesome sorcerer name!